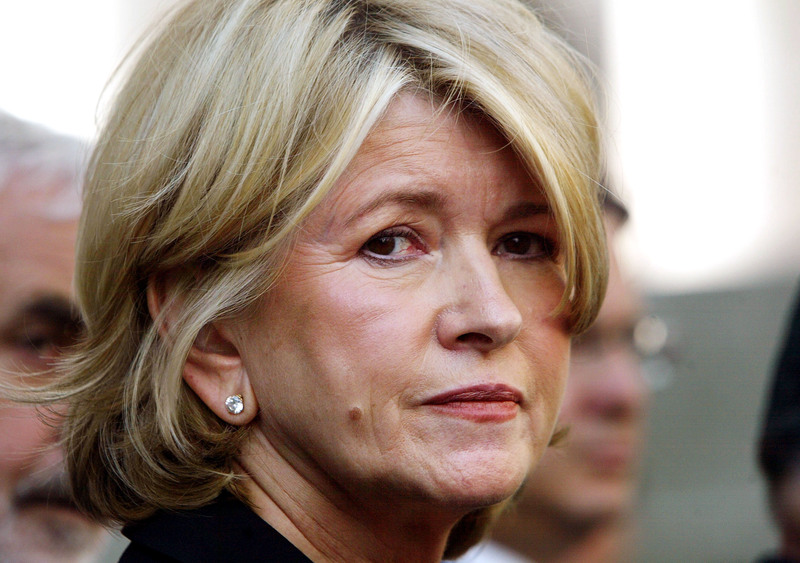 Martha Stewart, pettiness is not a Good Thing. In the November issue of her Martha Stewart Living, the ubiquitous lifestyle guru throws unencumbered shade at Gwyneth Paltrow, and it's far from the first time. In an interview with Net-a-Porter, Stewart (allegedly) came out swinging at Goop for her lifestyle website: "She just needs to be quiet already. She’s a movie star. If she were confident in her acting, she wouldn’t be trying to be Martha Stewart." Well, well. The fall-themed spread in Stewart's magazine is titled "Conscious Coupling" and it purports to be about flavors that pair well together, but the copy is such a thinly veiled and catty jab at Gwyneth's divorce from Chris Martin. Look, in terms of domestic lifestyle mavens, I'm usually in Martha's corner, and my dislike for Goop stands, but I think this kind of needless mockery is a step too far in the wrong direction for Stewart. If Stewart wants to be particularly critical of Goop's foray into the lifestyle business, that's one thing (and even that seems condescending and just plain mean), but the smackdown of Gwyneth's divorce is a different type of cruel — yes, cruel. Who died and made Martha Stewart the arbiter of marriage? She's not making a statement about divorce, she's directly targeting Paltrow for not being able to stay married. But Goop isn't the only target of Stewart's ire. She also threw daggers at Blake Lively when the Gossip Girl star launched "Preserve," calling it simply "stupid." Like I said, I don't normally defend Paltrow, but I think her response to the "feud" was perfectly graceful and appropriate, saying: "I am so psyched that she sees us as competition. I really am." Smile through the pain, girl. Paltrow had no obligation to respond, but by taking the high road, she makes Stewart look even more petty, and that is just embarrassing. You'd think someone with an empire as vast as her quaint estate would be more secure, but Stewart seems frightfully threatened by the likes of Paltrow and Lively who are trying to carve their own corners into the domesticity market. Obviously, Stewart is a predecessor and example for them both, and usually most mavens would believe that imitation is the sincerest form of flattery, but not Martha. I'd be able to forgive her if the hate was playful, but to go from dissing her lifestyle website to straight up laughing at her expense for going through a divorce is an uncomfortable offense. Stewart has been forgiven herself for her actions in the past — girl went to PRISON — so I'm perplexed as to why she thinks Goop should be free of mistakes. And who says divorce is a mistake? It's a personal choice, and though the public loves to gossip about celebrity splits, it's a particular kind of meanness that permeates Stewart's magazine spread. It's gratuitous, ugly, and not a good look.